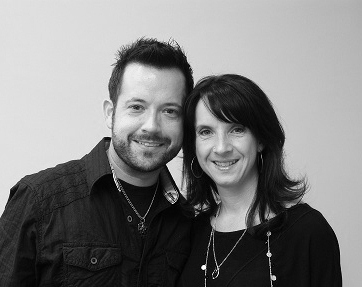 Angi Mayo & Bobby Berger/Ginger Bay Salon & Spa Team Leaders – Hair Department. When you care for your hair during the cold winter months, making some adjustments to your normal routine proves to be beneficial and sometimes necessary to achieve the results you desire. Home care recommendations should include a moisturizing shampoo and conditioner and a moisturizing mask. Masking once per week for dry hair and once per month for fine to normal hair should be sufficient. Moisturizing treatments in the salon are a great add on to hair care services and can drive up your average ticket as well. Static in the hair makes for a very bad hair day. Remind your guests that when their hair is full of static, it is a result of dry hair and a dry environment. Many people this year experienced a drought , and more likely than not, so did their hair! Moisturize!! Fall and winter up style trends for the hair include high buns on the top of the head, which can be either structured or messy. We’re seeing less and less straight flat ironed hair. There will always be a place for straight hair, but instead of the flat iron, try using a Mason Pearson brush and educate your guest on how to use it. Blowouts are also a popular trend right now and becoming the starting point for a girl’s night out. A weekly blowout can also make life easier for your guest. Holiday makeup trends include strong red lips for the evening and a more natural but shimmery lip for the office. To accompany the strong lip look, strong eyes are also the trend. Some say don’t do both, but make a statement and do it anyway. Hot eye shades for holidays are reds, blue, and golden shimmer accompanied with colored liners for a dramatic effect. 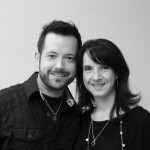 For more about the award-winning Ginger Bay Salon & Spa click here.